The National Safety Council is running several campaigns to try and raise awareness on how dangerous it is to be distracted while driving. While there can be various distractions while driving, the biggest one is the use of cell phones. 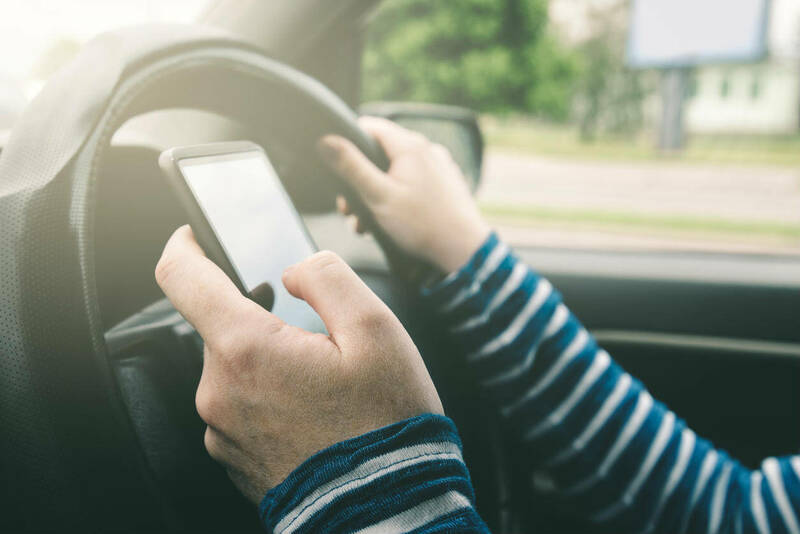 Although any driver can cause a crash due to distracted driving, young drivers are more likely to engage in distracted driving, and cause accidents. Every day around nine people are killed in distracted driving crashes. That’s one every two and a half hours. This means there are around 3,477 deaths every year! These deaths could have been avoided by simply not allowing ourselves to be distracted. Additionally, a further 291,000 people are injured every year. That’s more than one every minute and a half! At any one point in time during the day, around 542,000 people are on their phone while they are driving a vehicle. This has to stop to reduce the death toll. These figures are increasing year on year as our mobile phones demand more and more of our attention. It’s not just calls and texts that can distract us, our phones beep and buzz with social media notifications. Even emails and music cause distraction, which can be potentially fatal. Many people have a sense of urgency to check their social media regularly, going for one quick look while the traffic appears to be quiet or when they’re on a route they know well. Studies show that using a cell phone while driving can be, in many cases, even more dangerous than driving while drunk! We all know that drunk driving is dangerous. We’ll persuade friends to hand over their keys and get a taxi if we feel they’ve had one too many, but many just don’t consider distracted driving to be as dangerous. However, research has proven how truly devastating an accident involving a distracted driver can be. Being distracted by your cell phone could easily cause you to have a crash. When the accident is clearly your fault because you were on your phone, and in addition to financial trouble, you may find yourself in a lot of trouble with the law. Do your part by avoiding distraction altogether. Simply avoid using your cell phone while you are driving. If you are involved in car crash where the driver was distracted, we can help. To pursue a claim get in touch with us 24/7 at (314) 361-4242. We can help ensure that your legal rights are protected and help you get the full amount of compensation you are entitled to under Missouri law.